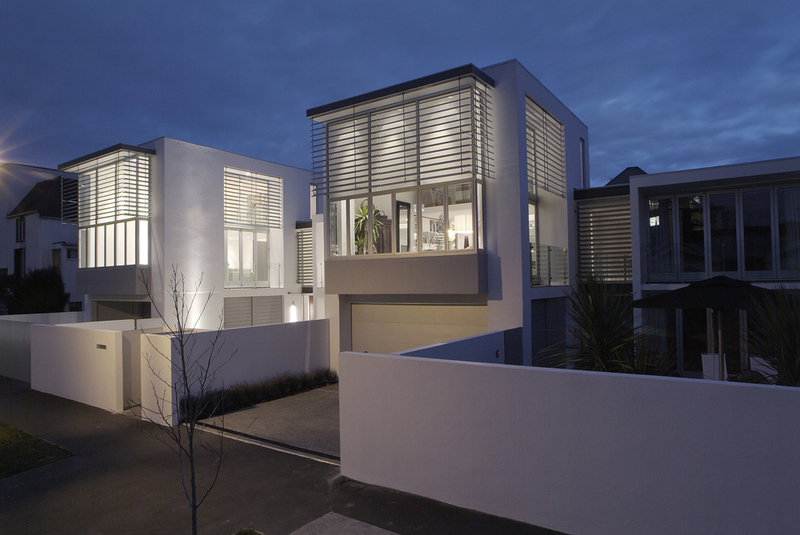 These two well-appointed modernist townhouses were designed to provide high quality living and privacy for their inner-city location. They use well-considered forms, clean lines, and a high level of attention to the detail to achieve this standard. Both townhouses follow a similar planning ethos – on the ground floor the entrance, garage, utilities, and two bedrooms form an L-shape around a sun-filled courtyard with either a pool or pond. A central stair connects this to the living spaces and main bedroom, logically taken onto the first floor, specifically designed to take in views but provide privacy from the street below. 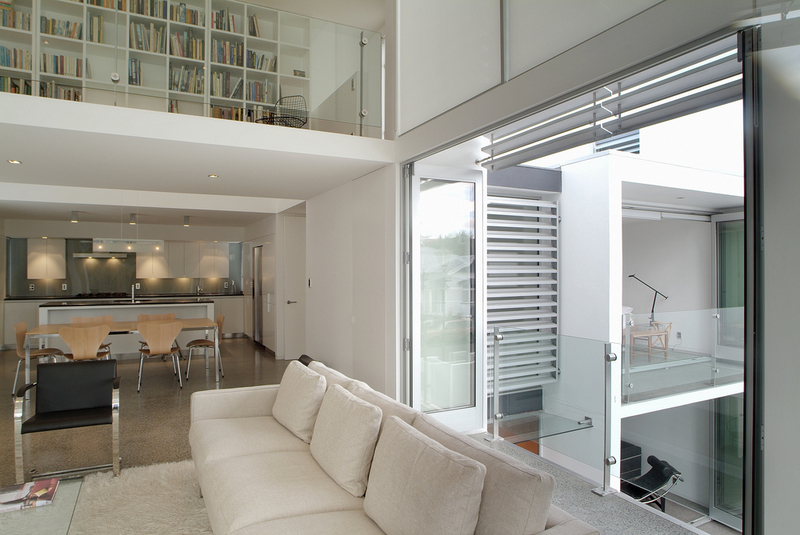 A hidden stair leads up to a mezzanine study/library over-looking the double-height living space.